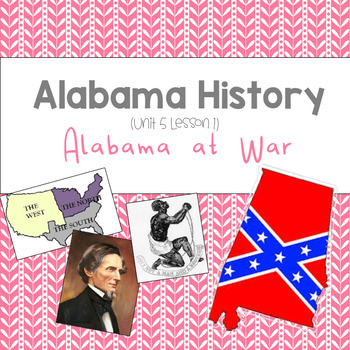 This lesson lesson will help you teach your students all about the events that led up to the Civil war and how Alabama was involved. This lesson contains 20 slides with pictures and 2 pages of guided notes to help your students follow along. This lesson contains the following information.